At the end of the first “Leg-a-pedia Begins” I mentioned this entry would be about the “Hour Glass” shape of the female leg, but then I stumbled across something that would help a novice better understand what Legaphilia is. Plus, this will be a nice primer for the “Hour Glass” post. 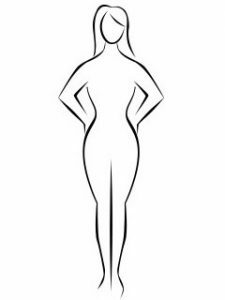 Think of the iconic image of a beautiful woman with an hourglass shape. Then look for that in the female leg; thigh is the torso, the knee the waist, the upper calf muscle the hips. How defined a muscle is when flexed highlighting the cuts or grooves in the muscle, with a strong focus on the calves. Those who like legs, mostly focusing on the calf muscle if it's large and defined. They're not really worried about the rest of the woman. 🙁 They love women's legs mostly for the muscle, with the shape being secondary. Their attaction runs more into the female bodybuilder types. 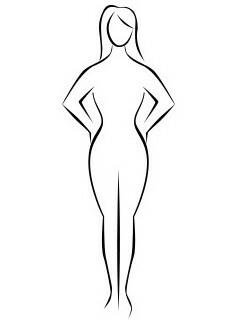 These are people who are attracted more to the shape at first, then the muscle definition second. It's easiest to find these kinds of legs through dancers, including ballerinas, and athletes. Those who don't care about shape, definition or muscle, they only care that a woman is showing her legs. If a woman is wearing a mini-skirt, flashing that flesh in the legs area, then they love her legs. Any pose that highlights the muscle under some kind of pressure or dourest. a) Shape--because of the different positions that create more shapeliness. b) Definition--because the positions will force the muscle to show more of it's definition and highlight the grooves in the muscle. 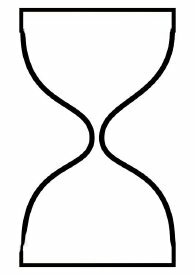 Next Leg-a-pedia entry will be about the “Hour Glass” shape. I guess I would put myself under flesh admirer with a strong leaning towards shape admirer. The first thing I always notice when I see a woman is if she has bare legs ( dress or skirt being the best way to present, but short shorts definitely work too). If her legs are covered in nylon, even if her shape is awesome and she’s well toned, I just don’t feel as excited, perhaps even let down a bit. For me the ideal woman is one that has somewhat thick and long legs with moderate muscle definition and fair skin ( light frickles, especially on the thighs being a bonus!) On this site, the ones that fit this are Galina, Maria and Alena. Nice!! I can TOTALLY understand that. 🙂 Makes perfect sense. The amount of detail here is certainly a characteristic of a highly developed fetish for lady’s legs. I love it! As for myself, I am definitely a shape admirer. My goddess is Anya the Ballerina. She is divine, and her legs are magnificent.